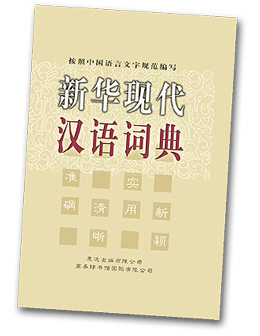 Xinhua Xiandai Hanyu Cidian contains over 60,000 entries, including characters, terms, phrases and idioms. This dictionary explains commonly used modern words and expressions, classical Chinese vocabulary that is still in use today, and frequently used technical terms. With such a wide range of vocabulary, this dictionary is suitable for people from all walks of life. Shiyong Cidian contains 1,000 commonly used expressions. 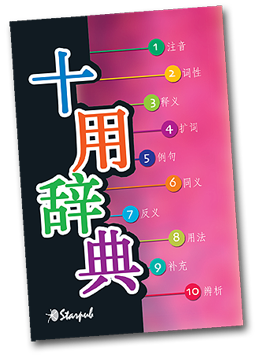 Each expression comes with hanyu pinyin, parts of speech and definitions, as well as supplementary information about phrases incorporating the expression, synonyms, antonyms, explanations to help understand the nuances between synonyms, notes on usage, and tips on how to use expressions and phrases. These features help users gain a deeper understanding of each expression and how it can be used in context. 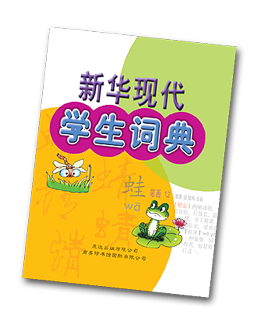 Xinhua Xiandai Xuesheng Cidian is tailored for students in primary and secondary schools. It contains over 5,500 entries, each with supplementary information such as phrases and idioms. Example sentences show how Chinese is used in context. Definitions are concise and easy to understand, with over 2,000 words illustrated in full colour. Each character is easily found using hanyu pinyin or radicals, and is presented in its simplified form, along with its traditional form, if any.